News Release #06 – Our booth at Honolulu Festival! 11 Mar News Release #06 – Our booth at Honolulu Festival! This year, the 21st “Honolulu Festival” was held for three days on 3/6—8 mainly at their main stage Hawaii Convention Center, performing various events at Ala Moana Center and Waikiki Beach Walk as well. Kalakaua Avenue was blocked off for the Grand Parade on the last day and later, Nagaoka Fireworks from Niigata prefecture of Japan was set off to the skies of Waikiki Beach area to close the 21st Honolulu Festival. 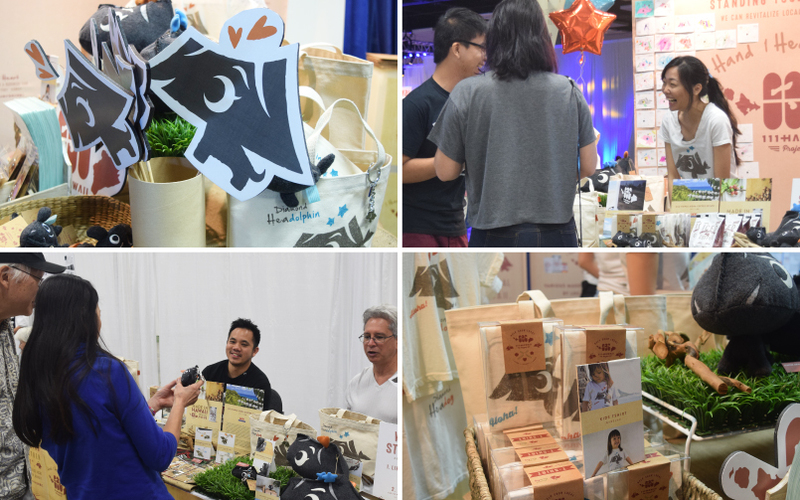 The popular “Craft Fair” was held during 3/7—8 where various regions of the Pacific Rim including Hawaii, Japan, Australia and the U.S. Mainland performed and displayed numerous traditional and modern dance and music to arts, crafts, and workshops. 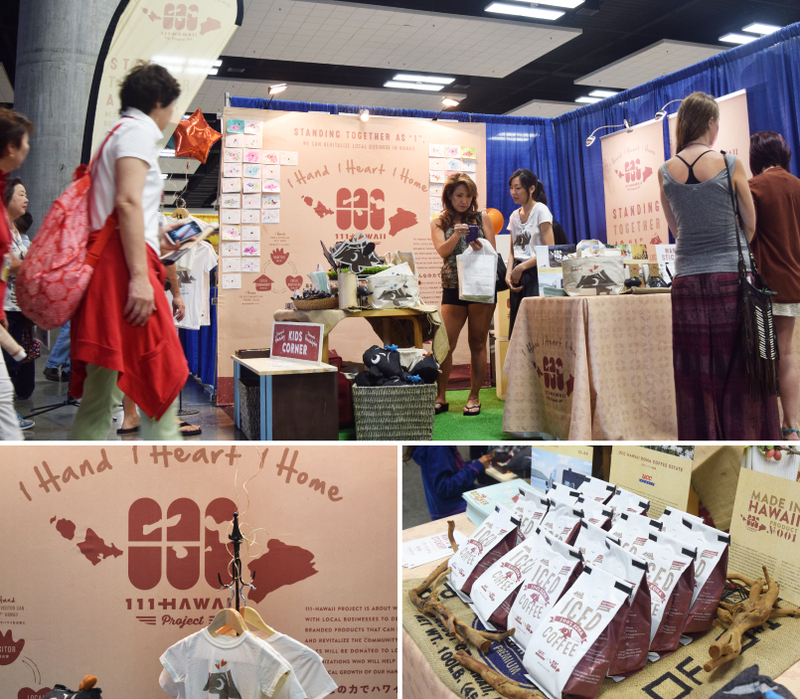 With the help of JTB Hawaii, “111-HAWAII PROJECT” also joined as a special booth. 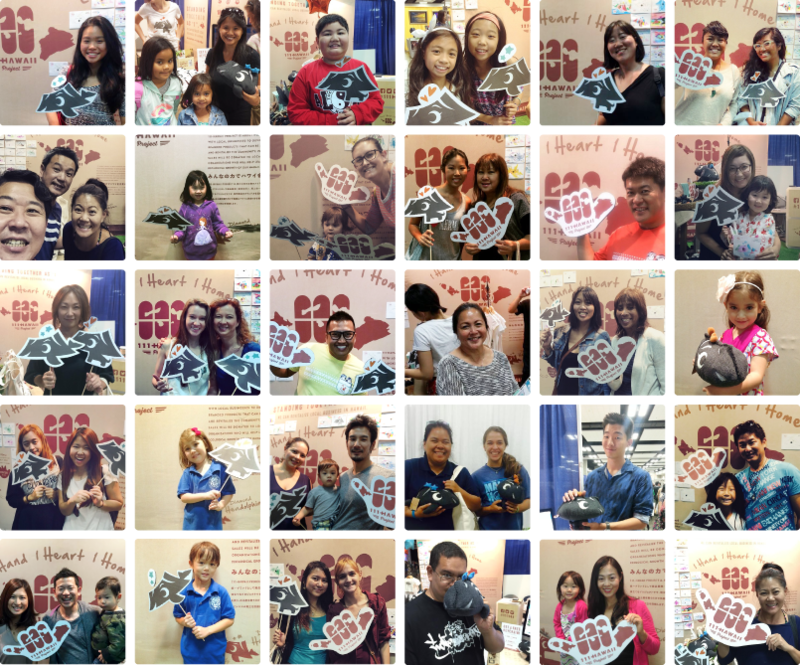 We also displayed at the JAPAN-HAWAII CULTURE EXPO area by Hawaii Senior Life Enrichment Association (HISLEA). 111-HAWAII PROJECT booth was luckily very close to the entrance, and we had a lot of visitors. Kid’s coloring corner of Diamond Headog and Diamond Headolphin was very popular among the kids! The SNS campaign where we gave free mini plushy keychains and bumper stickers. 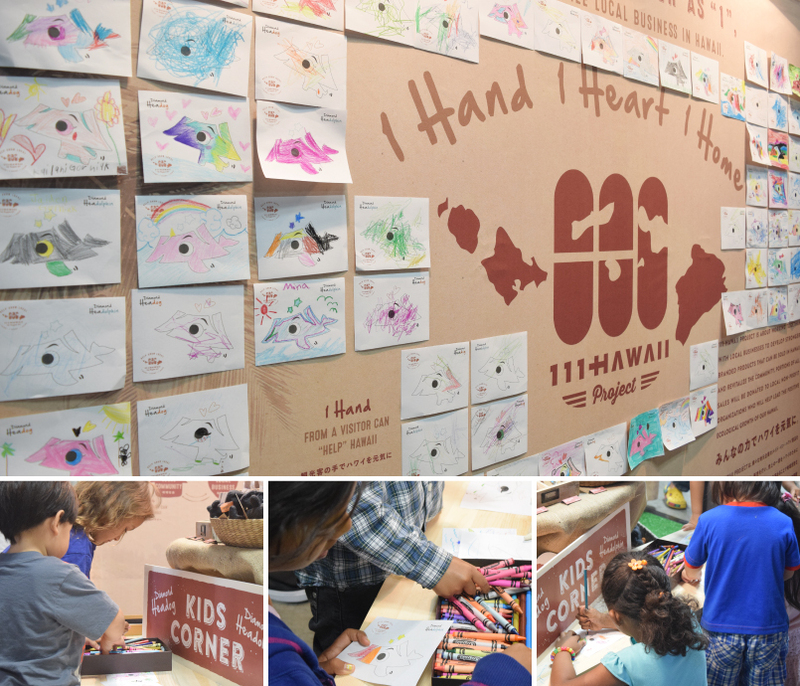 Many shared and supported 111-HAWAII PROJECT through Facebook, Instagram, and Twitter.